Our worship service is on Sunday mornings from 10:30 - 11:45am. 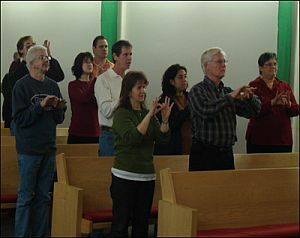 All worship services are conducted entirely in American Sign Language. We provide most of our worship service on Power Point slides, and detailed sermon notes are available. If you are learning ASL, we invite you to join us for a good linguistic "work out"! 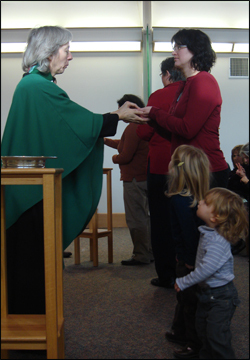 We use a traditional Lutheran order of worship, with a lot of Deaf culture mixed in! Children are welcome in worship!